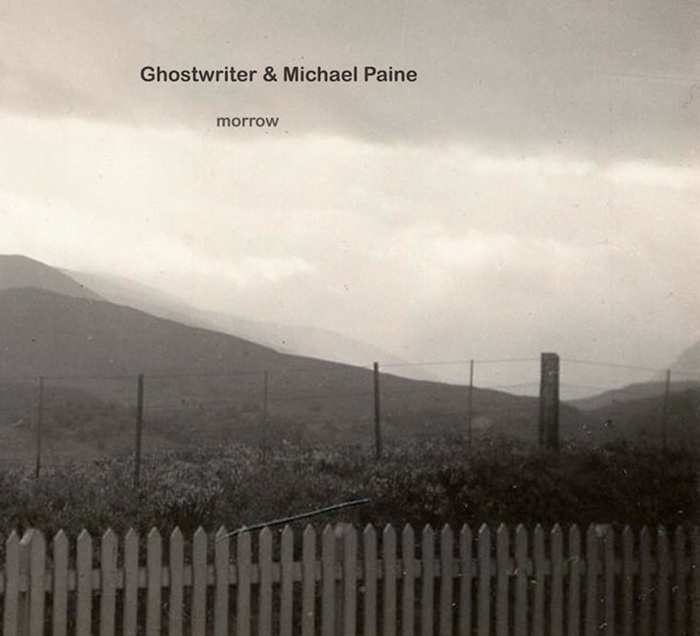 GHOSTWRITER – Morrow. New album. December 2014. 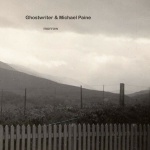 Ghostwriter releases a new album with Michael Paine in December 2014. The album is titled Morrow and is being released by Time Released Sound. Michael Paine is a writer and musician, based in the West Country. He was the main songwriter for The Becketts, an early 90’s indie band that recorded two albums and a handful of singles for Bad Girl and Virgin records. Ghostwriter (Mark Brend) and Michael met in a bookshop in the shadow of Exeter cathedral. 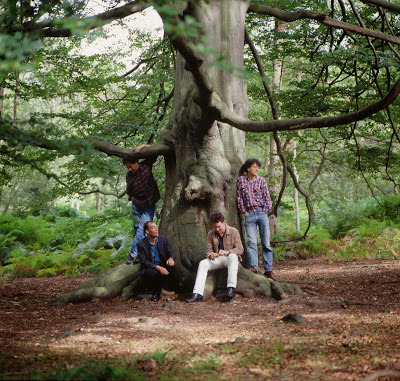 Their album, Morrow, references the mid-20th century British Writer Phyllis Paul, and shares with her novels an interest in the ambiguous territory between natural and supernatural. Deploying piano, electric and acoustic guitar, flute, percussion, glockenspiel and organ with musique concrète textures and found sounds, Mark and Michael create a cryptic English pastoral noir, drawing variously on folk, evangelical hymns, jazz, Debussy and Maurice Deebank. Morrow comes in both standard digipak and special editions. The special edition of just 80 copies will come as a hand distressed hardcover booklet, collaged with vintage photos, 1930s wallpaper samples, a mounted, hand stamped jigsaw puzzle, and a typewriter addressed, stamped CD envelope – all in a handworked, 7” square translucent envelope. Shop here. A varied cast of musicians and writers pay tribute to the work of the folksinger, songwriter, playwright and novelist who sadly died this summer. Chapter Arts Centre, Cardiff – 30 November 2014. Book tickets here. 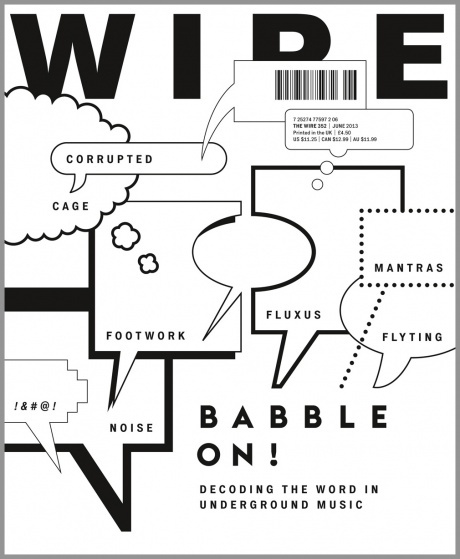 The Tin Tabernacle, London – 5 December 2014. 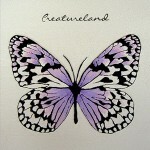 Immigrant – Creatureland. New album. The prolific Immigrant has a new album titled Creatureland for sale. Visit his website for full details on where to get your hands on a copy. Charlotte Greig – Studies In Hysteria. New album. Studies in Hysteria, the first album release by Dr Freud’s Cabaret, is a set of songs in the voices of Freud’s early patients. They’re an attempt to enter the psychic world of those patients, both the famous ones – such as The Wolf Man, The Rat Man, and Dora – and the more obscure, like Rosalie, the singer who came to him for help because she had lost her voice. Freud himself also makes an appearance, with an ode to cocaine, the wonder drug he thought he had discovered. There’s also a song from Anna O, the first psychoanalytic patient, who called the treatment ‘the talking cure’. 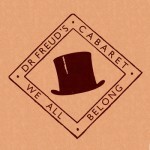 All of the songs are based on the actual texts of Freud’s case studies, often using exact the words and phrases that he’d noted down as he listened to his patients – tales of chimney sweeps, white wolves in walnut trees, crumpled giraffes, lost pince-nez, waltzing women, caged birds, burning houses, blackened breasts, and fountains of snow. He tried to make sense of what they told him – with mixed results – but he was revolutionary in that he actually listened carefully to what they said. 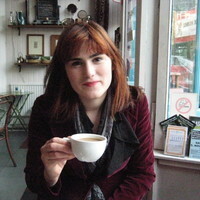 The songs were mostly written by Charlotte Greig, some co-written with Anthony Reynolds. In an early stage of the project, they performed the set as a duo on stage. When it came to making the album, Charlotte invited a number of other artists, mostly based in Wales, to sing the songs: Angharad van Rijswijk (Trwbadour), Euros Childs, Jon Langford, Laura J. Martin, Julie Murphy, and Richard James. A small band was formed, with Charlotte on piano and clarinet, Guto Dafis on melodeon, Eugene Capper on violin and viola, and Julian Hayman on guitar. A digital download or deluxe CD package can be purchased here. Chaffinch Records are currently on a hiatus. 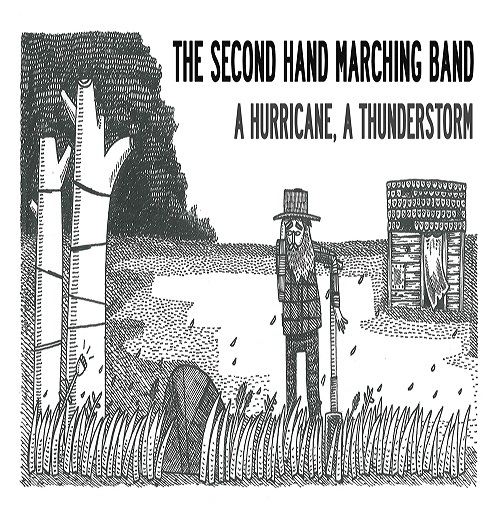 In the meantime, please check out and buy the wonderful new album by The Second Hand Marching Band called A Hurricane, A Thunderstorm. You can listen to tracks and buy the album here. Norman Records – Top 10 Singles/EPs of 2013. 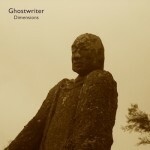 Ghostwriter – Dimensions. 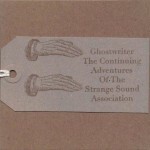 Ghostwriter’s Dimensions release has appeared in Norman Records’ Top 10 end-of-year list for 2013. To see the full list visit Norman Records. Mabel Joy – Wish I Was. 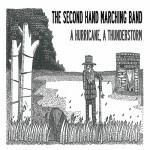 Album re-released. Mabel Joy’s cult classic album Wish I Was sees a welcome return via Spanish label Hanky Panky. 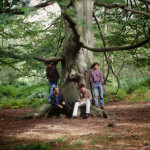 Originally released in 1993, the band featured Geoff Smith, Matt Gale, Tom Anthony and Mark Brend (Ghostwriter) who subsequently went onto form Farina. Shindig! says of the band ‘in a world where The Fleet Foxes and The Leisure Society have sizeable cult followings, maybe their time has come’. For more information visit Hanky Panky. Back in March, Mark Brend/Ghostwriter was interviewed by Chloe Frieda during her Alien Jams show on NTS Radio. The full show can be streamed or downloaded here. 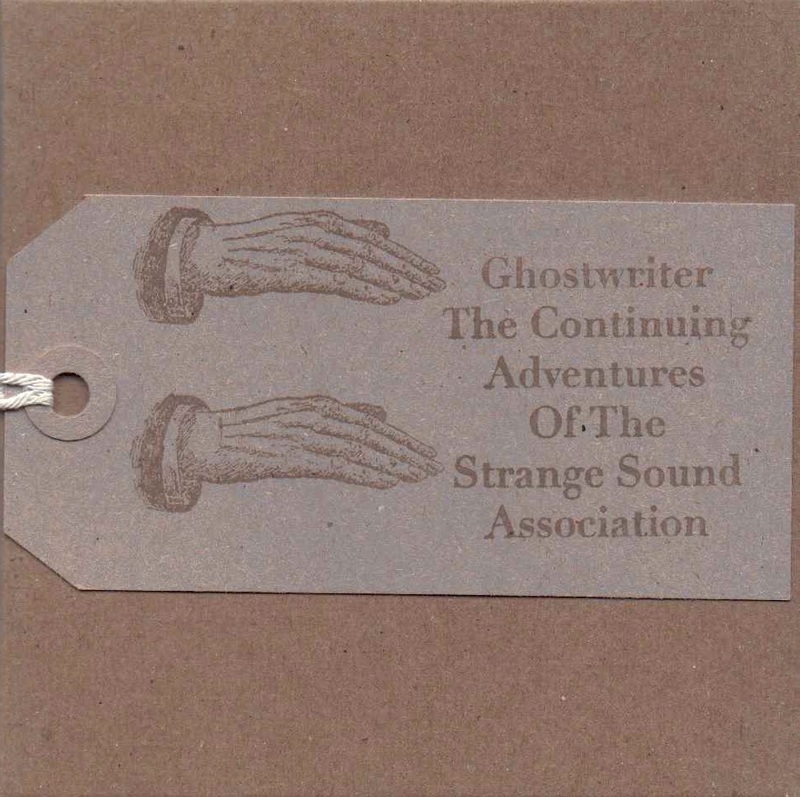 Ghostwriter’s (Mark Brend) The Continuing Adventures Of The Strange Sound Association has finally been made available via digital download. This was initially released on CD by Second Language in 2010 and was limited to 200 copies. It sold-out within a few weeks. Partially based upon archive voice recordings, fragmentary texts and ‘imagined works’ by literary figures eminent (Arthur Conan Doyle, John Steinbeck), cult (Colin Wilson, John Cowper Powys) and arcane (Arthur Machen, Ivor Gurney), The Continuing Adventures… weaves ethereal atmosphere, wistful song and playful soundscape from a battery of instruments and sound sources, including dulcitone, persephone, harpsichord, autoharp, toy piano, modular synthesizer, recorder, banjo, accordion, bass, drums, sampler, miscellaneous voices and something called the brendonium. Divided into three distinct ‘Chapters’: Music For Men Of Letters, Music For Imagined Technologies and Music For Flotsam and Jetsam, these mysteriously beguiling compositions run the gamut from frisky, jazz-flavoured vignettes to garden shed electronica and contemplative sound collages via Wicker Man folk and bygone soundtrack esoterica. Beyond easy categorisation, this is music informed as much by the BBC Radiophonic Workshop and the British Sound Archive as it is various currents in leftfield pop, electronica, folk and plunderphonics. Brend is assisted in his endeavours by a number of additional musicians and collaborators, including multi-instrumentalists Tim Conway and Matt Gale (Farina), singer Suzy Mangion (Piano Magic, George) and analogue synth collector Darren Hayman (Hefner), among several others. Ghostwriter’s debut album is very much a product of Brend’s own unique imagination and compositional vision, however. There are also a couple of previously unreleased tracks from the sessions available for free at Soundcloud. 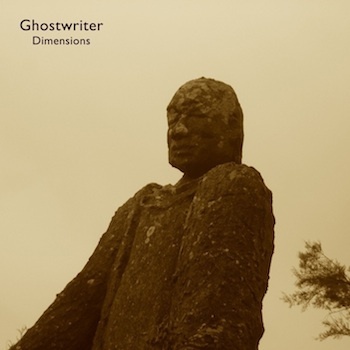 Ghostwriter – Dimensions EP. 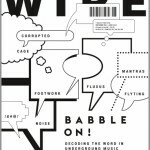 Review in The Wire. ‘The solo project of Devon’s Mark Brend, Ghostwriter has an archaic/modern blend of elements that reminds me a bit of Paul Roland’s long-ago Gothic (not Goth) projects. The EP is composed of a single track, broken into halves, documenting an imagined walk around London in the 1930’s. Sparse keyboards and guitar, sound effects and theremin plus heavy atmosphere make for an odd, cinematic whole’. Byron Coley, The Wire.